Recently Zoopercat joined us on the show and talked about all the new features of the site. Here is a another look at the new services provided by Ask Mr. Robot. Let’s start with changes to the look and feel of the site. There is a new interface to select your characters. The default screen no longer contains the immediate character screen. To find your character select the World of Warcraft drop down and then pick your poison. The first choice is the gear optimizer. After all that’s what we’re all here for isn’t it? Once you click on the Gear Optimizer button you get a new character load screen. 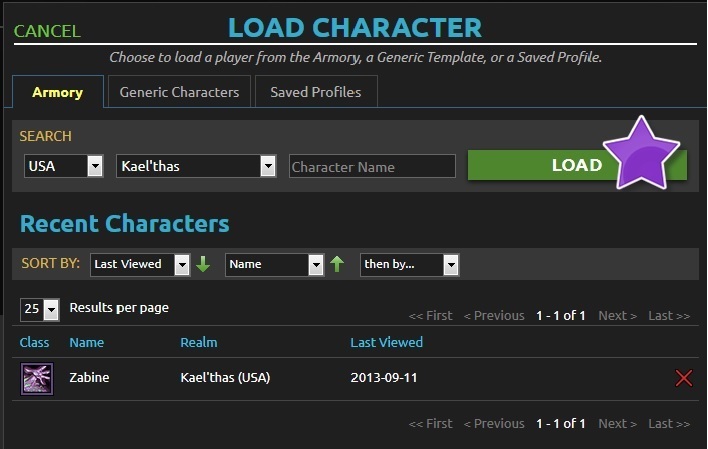 Chose your region, server and put in your character name and hit LOAD. 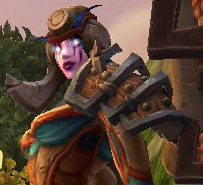 From here click on your character and you’re off to the optimizer!! You can choose from an array of different things you’d like to look at. Along the top you can load, save, or update your character. You can import your character from here as well. Select import and Mr. Robot will talk you through how to import your character to a lua file for in-game use. Don’t forget to load up the Ask Mr. Robot Add-On to take your optimizing into the game! Once I started using this screen I found it much easier to understand than the previous iteration. All the buttons are right there. Easy to understand and easy to use. I kept looking around for the old screen until I realized you can just click back and forth between My Gear and Optimized to easily see how the optimizer is changing your gear and stats. It is pretty awesome and amazingly simple. I am certainly not a theory-crafter but I did enjoy playing around with the stat weights and haste break points to see what it would do :). Even though the site is doing the math for you it feels very accurate. I don’t feel like I’m missing anything, and the information is all very laid out for you and easy to understand. The last item I’d like to cover is the premium service. For $12.00 a year (yes that is $1.00 per month!) you can have these awesome features. Find Upgrades: “Rank upgrades and optimize your bonus rolls” for current content. Valor Upgrades: “Spend your valor wisely…find..the biggest upgrades as well as the most cost efficient”. Bonus Rolls: Find out what bosses you should be spending your extra bonus rolls on. Which one has best percentage for an upgrade for your needs. 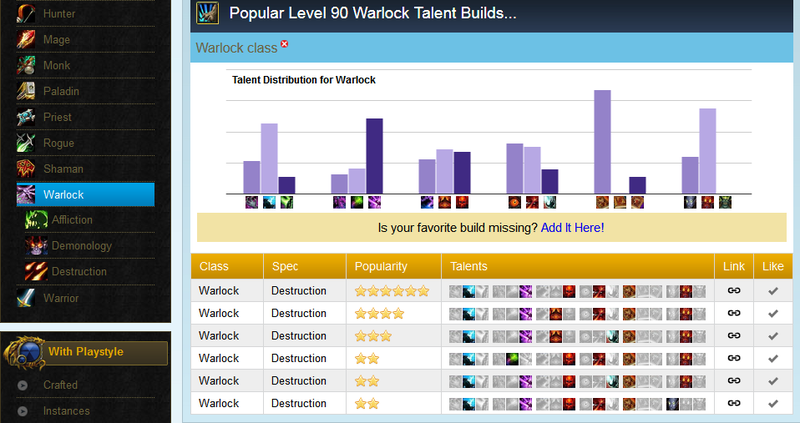 Raid & Dungeons: Find out which raids or dungeons have the best upgrades for you. Best in Bags: Find out if you have gear in you didn’t know you had hiding in your closet. Robocouncil: Put your raid team into Robocouncil and it will rank gear for your entire team for each boss, and tell you who would benefit the most from each drop. Over all I found the new site to be super easy, quick, and awesome to use! If you are in need of reforging, are not sure what gem you should be using, have new gear and you are just not sure how to get the most of out it, then you need to check out Ask Mr. Robot.com! 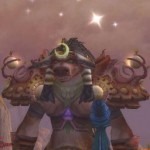 And now my fellow WoW fans…Go make the world a better place! We are pleased to welcome Kare from Ysera’s Daughter to the Twisted Nether Blogcast on Sunday. If you have any questions please make sure to send them in prior to showtime to info@twistednether.net or bring them to the chatroom! When is it? : This live show is scheduled for Sunday, September 8th at 8pm PT (11pm ET). Not sure what time that is for you? Use this handy-dandy time converter!